It is now common knowledge that the global financial markets have begun betting against sterling in 2013, the Chinese year of the "Black Water Snake." The Black Snake is supposed to bring unexpected changes, instability and changeability. That is why it is so important in the year of the Snake to plan everything beforehand, and to evaluate adequately before taking any actions. One needs to be more careful and cautious than ever this year! It is in this spirit that the ATCA Research & Analysis Wing and the mi2g Intelligence Unit have been evaluating the situation in regard to the British pound in 2013. 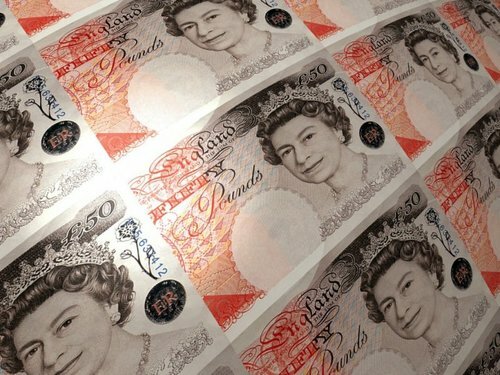 The British pound has declined for a fourth week in a row against the euro in the week just ended, its longest downward streak since September last year. Sterling is at a 15-month low against the euro. Of the 10 developed world currencies tracked by Bloomberg through its correlated weighted indices, the British pound is the second worst performer so far this year behind the Japanese yen. 1. 2012 was dominated by three key issues for global financial markets: the Eurozone crisis, the US fiscal cliff and fears of a Chinese hard landing. Sterling's status as a safe haven is increasingly being questioned now that the Eurozone crisis has receded and the issue of a Eurozone break-up appears to be off the agenda, as indeed is the possibility of a Chinese hard landing. Meanwhile, for the moment, US Congressmen appear to have stepped back from the fiscal- cliff and ceiling. With this the fears of a calamitous fiscal contraction in the US have also somewhat receded. By no means are the European, American and Chinese challenges done and dusted and they may yet spawn surprises in the year of the Black Water Snake. 2. Many global fund managers, not just in London and on the Continent, but across the Atlantic and the Pacific, are actively reducing their sterling asset allocation by double digit percentages. Given the end of the London Olympics fever, higher inflation and lack of growth, Forex traders wonder aloud: “Who would want to continue buying the British currency aggressively in 2013?” The amount of gold backing sterling was reduced significantly by the last Labour government -- when Gordon Brown was chancellor -- between 1999 and 2002, when gold prices were at their lowest in 20 years following an extended bear market. That period has been dubbed by some commentators as "Brown's Bottom." At an average price of about USD 275 per ounce, approximately USD 3.5 billion was raised by HM Treasury. By 2012, that quantum of gold sold by the UK would be worth over USD 20 billion, which is the value of gold NOT backing the value of sterling at present. 3. The US Commodity Futures Trading Commission -- CFTC -- publishes weekly positions on a number of investment types from US investors, including currencies. The latest report shows speculators have trimmed long positions in sterling in recent weeks, a marked change from the position at the height of the Eurozone crisis. 4. Capital flows from the Eurozone to perceived “Safe Havens” such as the UK are also slowing down sharply as the Euro-land crisis eases and in some cases, the repatriation back to the Eurozone has now begun as evidenced by recent positive data mapping dramatic capital inflows going back into the peripheral Eurozone countries in the last quarter. 5. There is rising evidence of elevated concern amongst global investors in regard to the Bank of England's money printing policies. BoE's "Quantitative Easing" or QE programme has created GBP 375bn in electronic money out of thin air, which is around one fourth of the GDP of the entire nation. How long can the BoE keep expanding its balance sheet, which is already four times larger than it was in 2008? In simple economic terms, if one continues to create more of something investors don’t want, the price goes down faster and faster. Sterling is in danger of this happening to it. So far, QE may have been neutral for the currency as the loosening of monetary policy was seen as an appropriate offset to the ongoing tightening in fiscal policy whilst the Eurozone crisis was in full bloom. With the pain of austerity now kicking in at a time when the happy coexistence of tight fiscal and loose monetary policy is being challenged, sterling could face the music by being sold more than it is bought in 2013. 6. The Bank of England has bought about 50% of all UK government debt issued since 2009. It now owns something like 30-35% of all existing UK government debt. Almost all large financial institutions, from pension funds to hedge funds, high street banks and global investment banks, own large quantities of government bonds. They have to. No investment ticks the regulatory boxes better including the Basel banking regulations. Bonds have rarely been issued by governments with weaker finances. Yet yields are at more-or-less all-time lows. There can be no doubt that this is an "Artificial Market" and government bond prices are now in bubble territory. Yields could go much higher as the bubble is pricked by the "Great Rotation" in which money is switched from bonds to equities by investors. We are already seeing evidence of this as witnessed by the Dow Jones index crossing 14,000 and coming within a whisker of its all time high. Government bond yields have also risen by several tens of basis points as the bond prices continue to fall. Governments really cannot ever hope to pay these large debts back -- at least, not without massively weakening their currencies. 7. From a global financial markets perspective, the "Con-Lib" Coalition government appears to have been unable to cut the budgetary deficit significantly and the national debt continues to grow for the United Kingdom. Low economic growth has undermined the present government's attempts to reduce the fiscal deficit, which remains one of the highest within the OECD nations. That is ultimately bad for international confidence in holding sterling and British assets going forwards. As of 2012 the national debt amounted to more than GBP 1,278 billion, or 86.8% of total GDP. The annual cost of servicing the public debt amounts to around GBP 44bn, or roughly 3% of GDP. This is roughly the same size as the British defence budget. Due to the government's significant budget deficit, which must be financed by borrowing, the national debt is increasing by approximately GBP 121 billion per annum, or around GBP 2.3 billion each week. Each 1% increase in interest rate charges, would add to the taxpayer's burden by GBP 8 billion per annum. The UK went bust in 1976 -- when the IMF was called in -- running a budget deficit of 6% of GDP. In 2012 that deficit topped 8.9%. 8. The UK has not enjoyed a trade surplus in goods since the late 1990s, or more than one and a half decades ago. This long-standing weakness has been partially compensated for by a relatively large surplus on services, and on overseas income, but even so, Britain has been in overall current account deficit since the mid-1980s for nearly three decades. In other words, the UK has been persistently spending beyond its means. It may be perfectly reasonable for economies in their development phase, when they are sucking in resource for long-term investment in infrastructure and job creation, to run persistent trade deficits, but when the money is being blown on current consumption -- both public and private -- it becomes more and more problematic to manage especially when there is no GDP growth. This is the unfortunate situation with the persistent current account deficit of the UK coupled with negligible economic growth. The holy grail of a more balanced economy, with a greater proportion of GDP coming from net trade, remains as elusive as ever based on the latest statistics. 9. If we rewind to when the UK was last in surplus all those years ago it roughly coincided with the advent of North Sea oil, which helped the UK economy avoid what would otherwise have been brutally imposed market reform and adjustment during the Thatcher era. As recently as 2001, Britain enjoyed a trade surplus in crude oil of nearly GBP 6bn a year. In 2011, the deficit was around GBP 11bn. Like a receding tide, fast depleting North Sea oil is exposing the underlying problems of the UK economy and its vulnerable structure. All this taken together can also be detrimental to the good health of sterling and UK assets going forward. 10. The ultimate tipping point for sterling may be the result of weak economic growth and deepening austerity measures. The low economic growth could prove to be the real threat to the downgrade of Britain’s cherished AAA credit rating this year, making the UK and sterling comparatively less attractive to overseas investors. The effect would be felt also in the bond markets and the consequence could be a series of interest rate rises to try to prevent a massive fall in the value of sterling. Contrary to popular myth, the bond markets and global financial markets ultimately set interest rates for a nation. Over the last few years, the Eurozone hedging trade went in favour of pound sterling, UK government bonds -- or Gilts -- and London property. The unwinding of that Eurozone hedging process is now beginning to have a detrimental effect on the value of the British currency and other British assets purchased as "Safe Havens" may follow suit. For a long time, the pound appeared to be the least ugly sister caught between the euro and the dollar. Now that the European immediate problem is no longer causing chaos and the American cliff and ceiling risks have somewhat receded, the potential vulnerability of the UK is under scrutiny from global investors and this is beginning to have a negative impact on the British currency. The law of unintended consequence is such that an upset in the value of sterling could also cause an upset in the UK bond markets. If the UK bond yields rise significantly, the perceived risk free return would go up, interest rates would follow, and in time challenge the stability of the equity markets which have so far benefited from the bond-to-equity switch trade. In keeping with the year of the Black Water Snake, our advice remains one of being vigilant and cautious in regard to what 2013 may throw up next. The vulnerability of sterling could yet prove to be a cascading risk for the next set of casualties in the global financial arena.